PHOTO: CLAY PATRICK McBRIDE | A fascinating new piece of public artwork will premiere this weekend in New Orleans as part of the closing weekend of the art exhibition known as Prospect.4: The Lotus In Spite of the Swamp. 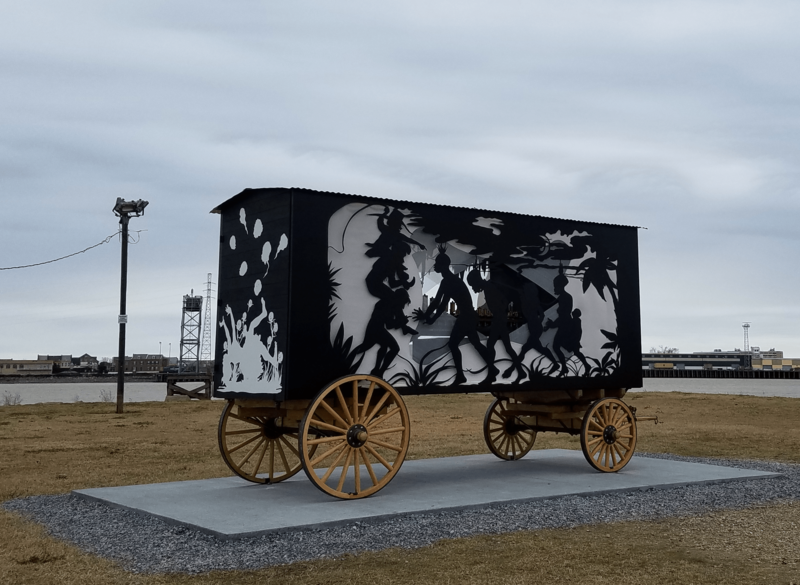 One of the world’s most famous living artists, Kara Walker (photo below by Chuck Close), has constructed a thirty-two-note steam calliope, which will be installed and activated daily on the banks of the Mississippi in Algiers. On Friday and Saturday afternoon, Jason Moran one of the most important jazz musicians of his generation, will play the contraption. The Katastwóf Karavan is a calliope similar to the one that is played throughout each day from the deck of the Steamboat Natchez in the French Quarter. 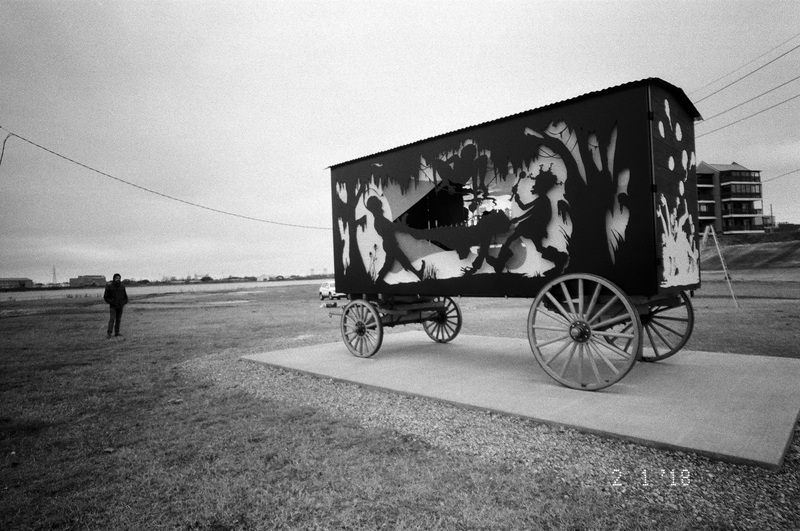 Walker’s creation is housed in a funky looking parade wagon of her own design. The calliope plays songs and sounds associated with the long history of African-American protest music including gospel, reggae, jazz improvisation, chants, and shouts. Moran will add his own flourishes on Friday at 4:30 PM and on Saturday at 2:30 PM. While Moran’s appearance will surely be the highlight for jazz fans, the Katastwóf Karavan on the west bank will alternate with the Natchez’s calliope on the east bank all day Friday through Sunday beginning at 11:30 AM on Friday, creating a once-in-a-lifetime, call-and-response experience across the mighty river. Though keep in mind that the artist’s intention is juxtapose the more saccharine sounds of the Natchez with the social messages inherent in her selections. Walker, the artist, welcomes all people to experience this unique installation. The schedule is fluid with many peak moments expected including at the “magic hour” as sunset approaches on Friday and Saturday. The performance and installation are free and open to the public. Images below are of the Katastwóf Karavan.